We are thrilled to announce that Shakespeare Republic: #LoveTheBard (Season Two) has been nominated for BEST EDITING at Miami Web Fest! Congrats to Sally McLean (Director/Editor), Thanassi Panagiotaras (Editor/Colourist) & Tim McCormick (Sound Editing) for this nod and thank you to the judges! This marks the second nomination in this category for our editing team for Season Two and we couldn’t be prouder of them! And … we are so delighted to also announce that Shakespeare Republic: #LoveTheBard (Season Two) has also been nominated for BEST INTERNATIONAL CINEMATOGRAPHY at Miami Web Fest! Congrats to Shaun Herbertson (Cinematographer) for this acknowledgement and thank you to the judges! This makes Shaun’s third nomination for Cinematography for Season Two! And well deserved! If any of you will be in the Miami area in September, we will be screening on Saturday, September 16th in the 4pm-5.55pm session at The Wolfsonian Museum, Florida International University. Congrats team and long live the Bard! And congratulations to the whole Shakespeare Republic cast! The nominations for Bilbao Seriesland have been released and we are so thrilled to announce that we have been nominated for EnsembleAmets! This is our first ensemble nomination and we are SO pleased for our whole cast that their excellent work has been acknowledged en masse like this! 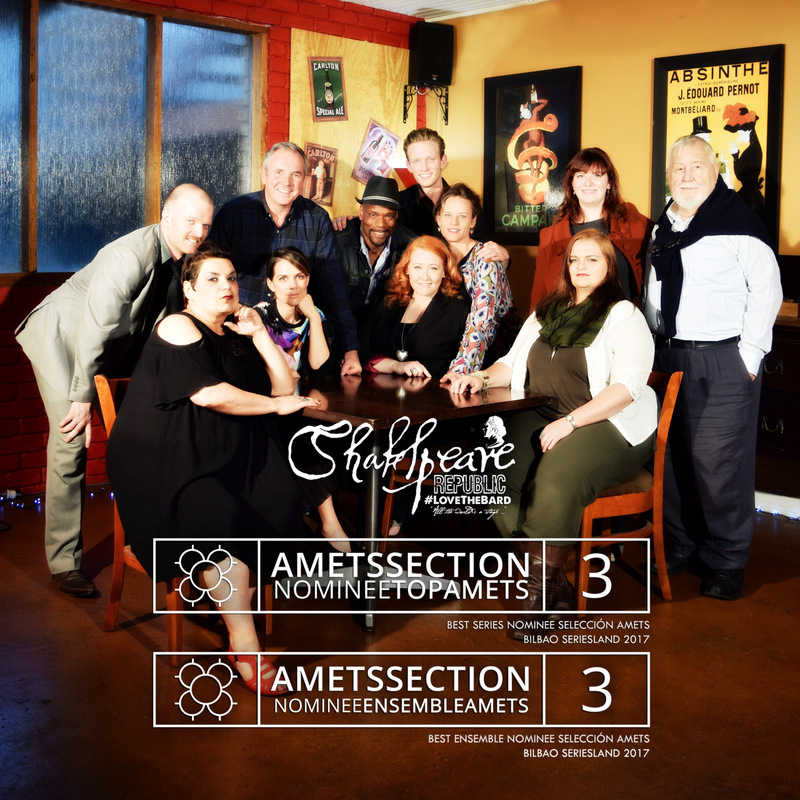 Shakespeare Republic is very much an ensemble work, with all the actors sharing equal billing, so we are so delighted that everyone can share in this nomination! 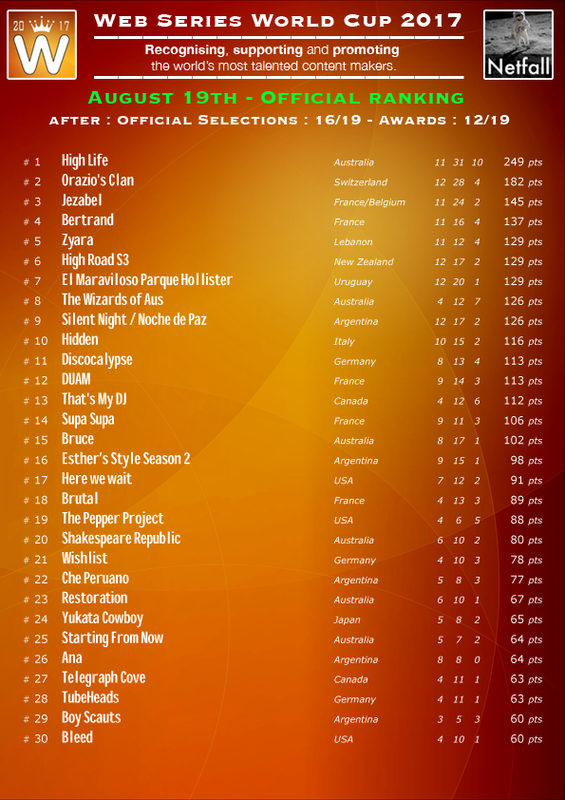 We have also been nominated for TopAmets (Top Series in the Amets section). Thank you to the judges and organisers at the festival for this acknowledgement of the work. Congrats again team! You all deserve this!! Bilbao Seriesland takes place in October in Basque in Spain and we are very grateful to Warwick Holt (co-creator of Bruce) for volunteering to represent us in our absence, as we are likely to be in the USA at the same time the festival is on for the CINE Award ceremony. Long live web series, the collaborative environment engendered by their creators and the Bard! And finally, after Seoul Webfest 서울웹페스트 Awards and Bilbao Seriesland and Miami Web Fest nomination announcements, Shakespeare Republic is still holding firm at No. 20 on the Web Series World Cup rankings worldwide and still in the Top 5 web series in Australia! Thank you to all the fests who selected, nominated and awarded us to date and congrats team! Posted On 28/08/2017 in Project Updates, Screenings & Festivals with 0 Comments.Tagged: awards, bilbao webfest, miami webfest, nominations, screenings. ← Speaking Daggers officially selected for the Shakespeare Birthplace Trust’s Shakespeare Film Festival in UK!